Let's schedule a simple one time campaign with a simple countdown timer and bar. Here are the screenshots of the settings that are enabled. 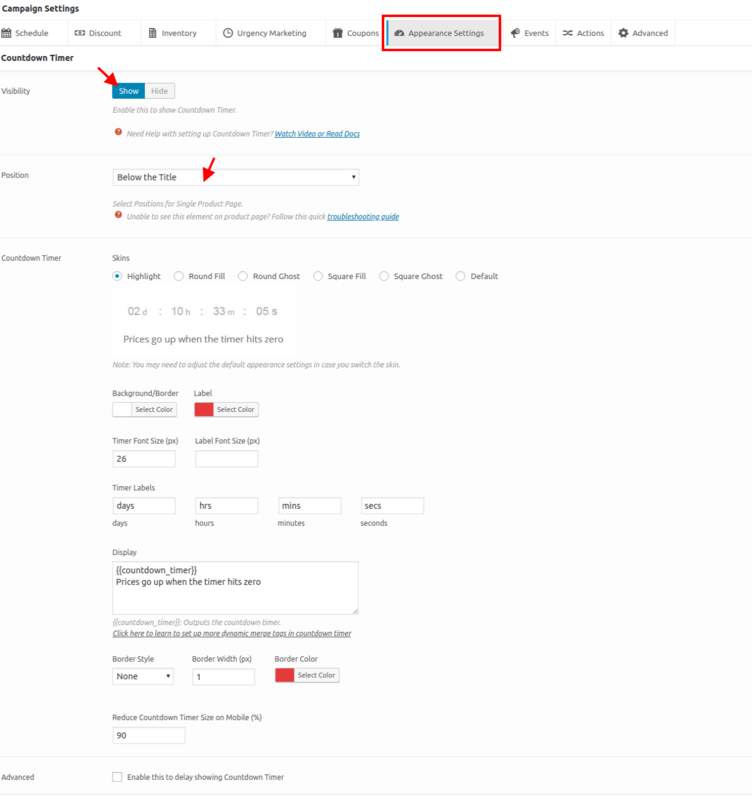 Enable discount percentage and set a simple price/percentage discount. Enable countdown timer and bar and set the position and skin types. When such a campaign is set live, this is how it looks in the product pages. 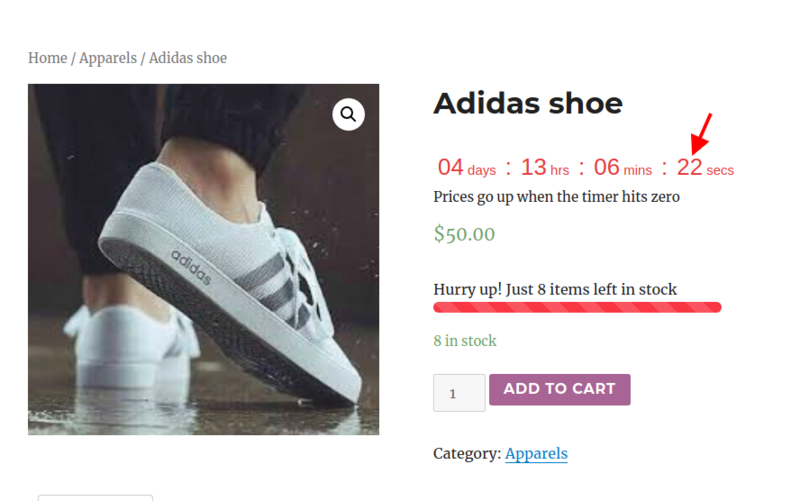 This timer will be enabled in all the product pages. Additionally, if there are multiple countdown timer that are running and you want only one timer to show. You can change it in the settings page as well.